rather than anything that appears within it. is your sense of, I Am. the only self there Is. that is revealed in your infinite and unbound knowing. Its only limits are what the temporal mind infers. which it creates from false imaginings. 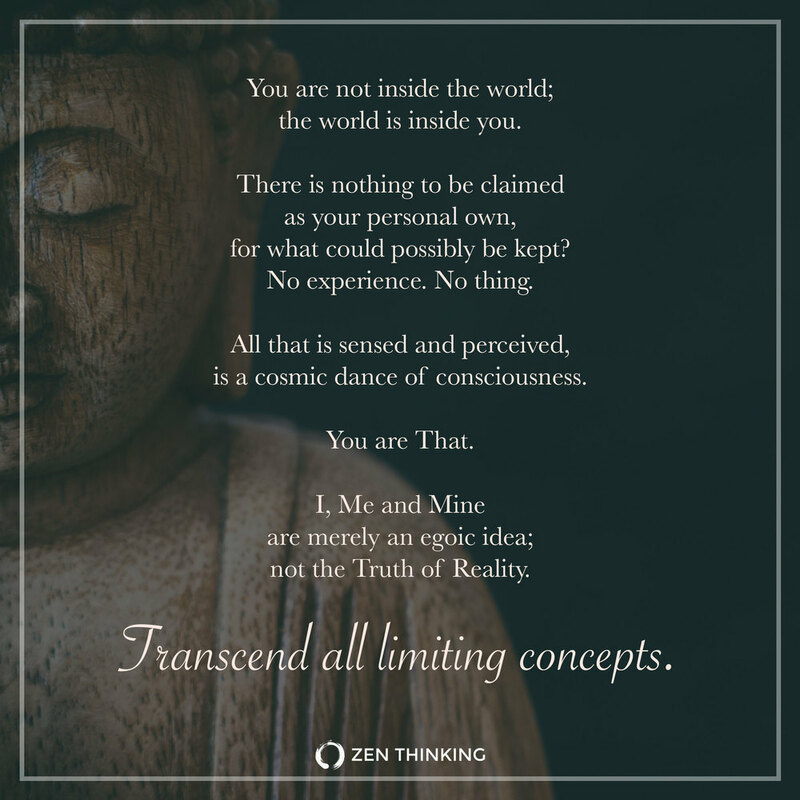 Be free of your concepts. Be free of your personalized stories. Be free of the narrative you endlessly tell yourself about the world. Be free of any and all such opinionated and subjective thinking. in which you seem to suffer. just leave it all alone. there is no knowledge and no belief needed to be had. is one cohesive field of unified reality. for what could possibly be kept? is a cosmic dance of consciousness. not the Truth of Reality. and of this and that. the touching of the touched. the unlimited presence of effortless knowing. There is only Life, Being. All apparent things are momentary ripples. for there is nothing to be held. This is the quiescent transcendence of mind. as all that truly Is.